MangalaYapa, a respected professional with extensive private sector and public sector experience, has been appointed as the new Chairman of the Board of Investment by President Maithripala Sirisena. 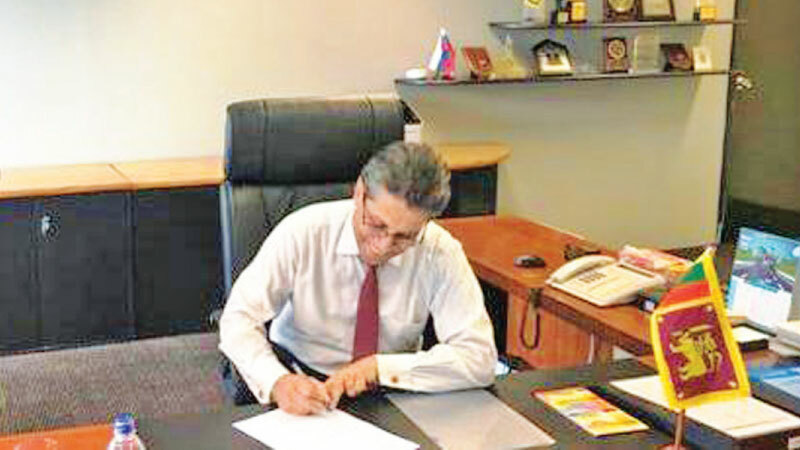 Yapa assumed duties as the 22nd Chairman of the country’s apex investment promotion authority, following an earlier stint as a Member of its Board. Previously, Yapa was the Managing Director and Chief Executive Officer of Colombo Dockyard PLC, a CSE-listed company, for many years and led the company’s rapid growth and international expansion. Subsequently he headed the Ceylon Chamber of Commerce (CCC) as the Secretary General/CEO and was also President of the National Chamber of Exporters (NCE). He has functioned as technical advisor to the Ministry of Development Strategies and International Trade and played a pivotal role in recent strategic and large-scale FDIs.